Dogs Love Cadillac Earth Day! Two Thumbs Up for Cadillac Earth Day! Ditch Plastic & Choose Reusable Bags for Your Grocery Shopping! 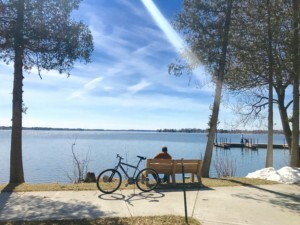 Happy Earth Day from Downtown Cadillac! How You Can Help the Environment! Will & I Celebrating Earth Day Outside, Coatless, At Last! To experience the humble beauty of Northern Michigan, simply soak in Mother Nature. Throughout Cadillac and its surrounding rural communities, locals celebrated Earth Day this past Sunday, April 22, with an afternoon of fun activities, live music, and interactive lessons about the environment and how conserving it is vital to sustaining human life. Hosted by the Cadillac Earth Day Committee, this fun-filled and educational event took place from 1-4pm last Sunday in the City Park at Cadillac Commons with an inspiring set of music by Seth Bernard at the Rotary Performing Arts Pavilion in the heart of Downtown Cadillac. 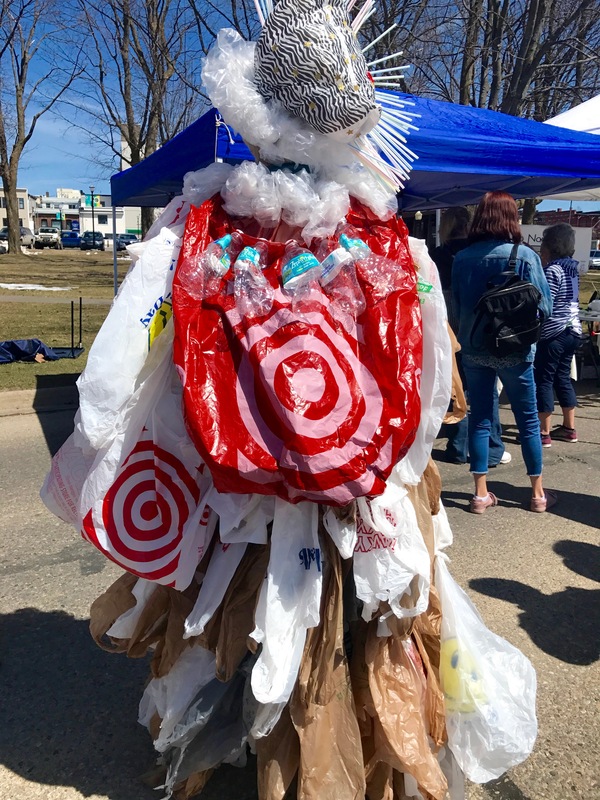 More than 15 area groups, businesses, and individuals—including advocates for the arts, science, and environment—took part in the weekend event. The first 200 kids who attended got to take home their own tree to plant for free! 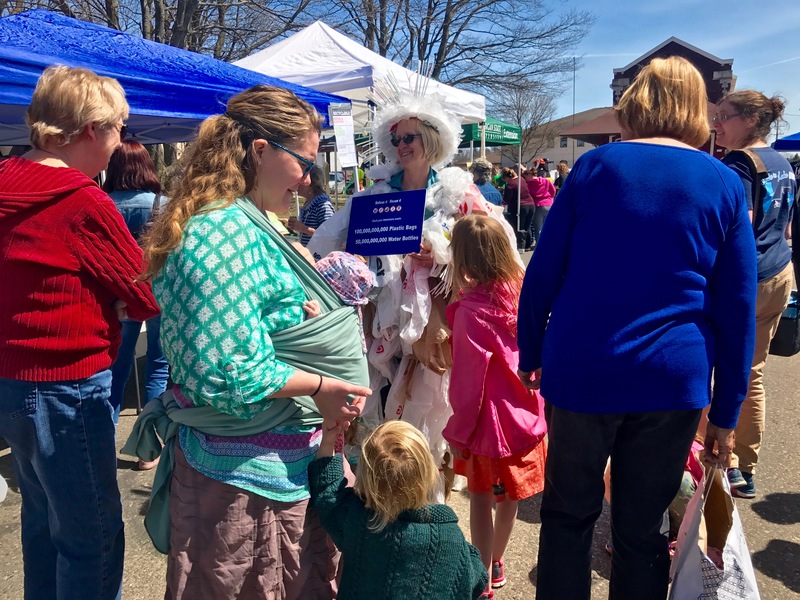 From little ones in strollers to those with walkers, people of all ages showed up for this celebratory event. And there were so many adorable dogs outside enjoying the spectacular weather! 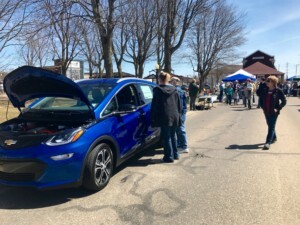 Though Cadillac Earth Day was founded several years ago, the event has been on hiatus since 2014, and this year’s gorgeous spring weather attracted over a hundred community members to the Commons for a perfect day of outdoor activities, learning, and entertainment. 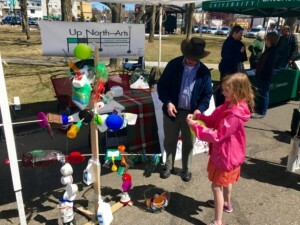 Groups and organizations with vendor booths at this year’s Earth Day in Cadillac included Up North Arts, Inc., which offered activities focused on environmental art topics for both kids and adults. 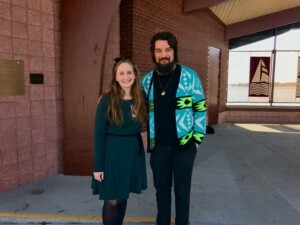 The Michigan Department of Natural Resources (DNR) displayed wildlife skulls and pelts for the community to check out, and they gave out cardboard antler crowns for kids to wear around. Michigan State University Extension supplied information about gardening and 4H to event-goers, the Michigan Bluebird Society educated local folks about bluebirds, and Ms. Green Shredding & Recycling Center sold eco-friendly, reusable grocery bags at Earth Day and provided details about their recycling and shredding services. 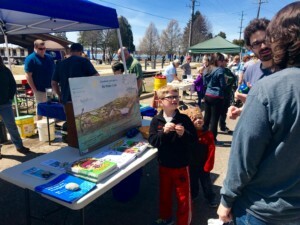 The Michigan Citizens for Water Conservation shared information about preserving the Great Lakes and all our state’s lakes. The Wexford County Herb Society was there at Cadillac Earth Day, too, as was the Michigan Department of Environmental Quality (DEQ), which offered environmental science demonstrations for the community. 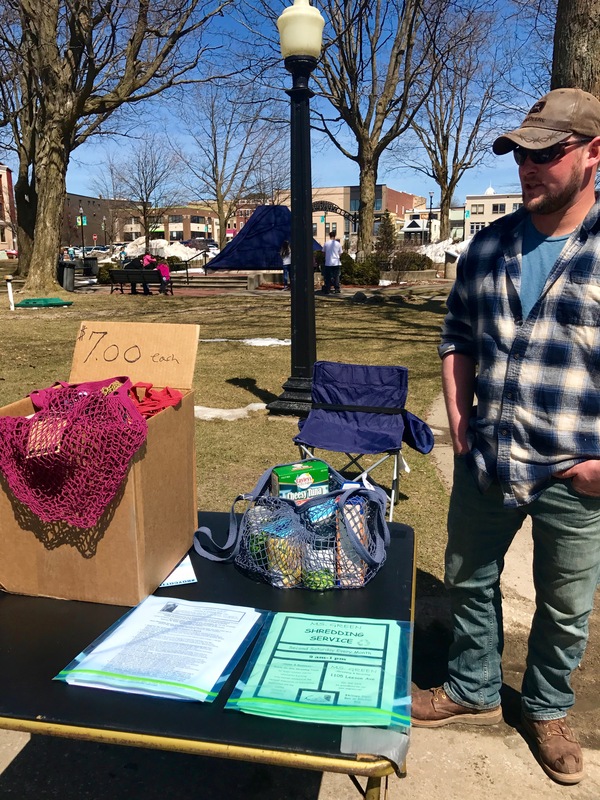 There was also an Earth Day seedling giveaway, and the Wexford County Progressives hosted a variety of activities for kids all afternoon. And the Mid-Michigan Library League displayed their own “green library” for kids and adults to browse through as they learn and enjoy. 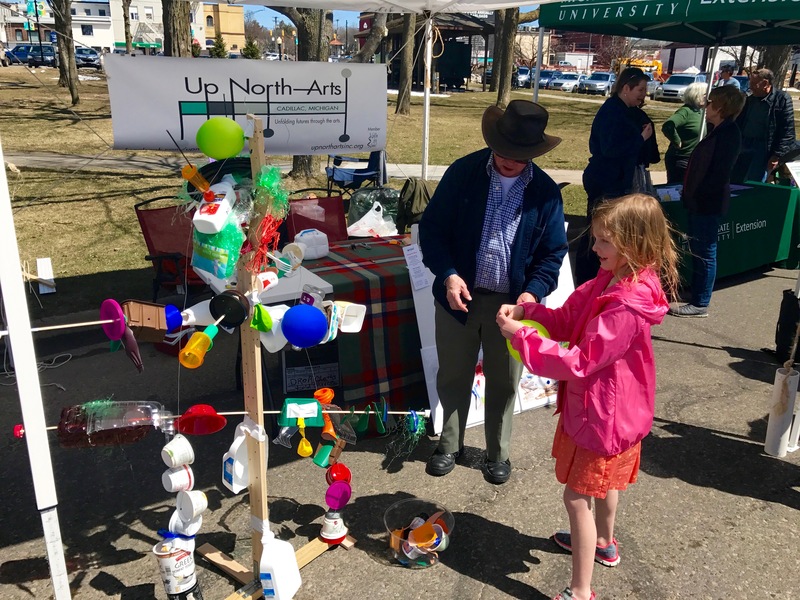 Michigan’s “renewables leader” Wolverine Power Cooperative shared information about renewable energy, including wind and solar power, and the Cadillac Area Land Conservancy had a booth set up at Earth Day as well. The Carl T. Johnson Hunting & Fishing Center was also there, as was local beekeeper and honey vendor Ezra Bunce of E Z BEES All Natural Honey. God’s Good Earth Community Garden had experts on hand to provide gardening tips and a free cell phone recycling drop-off service. 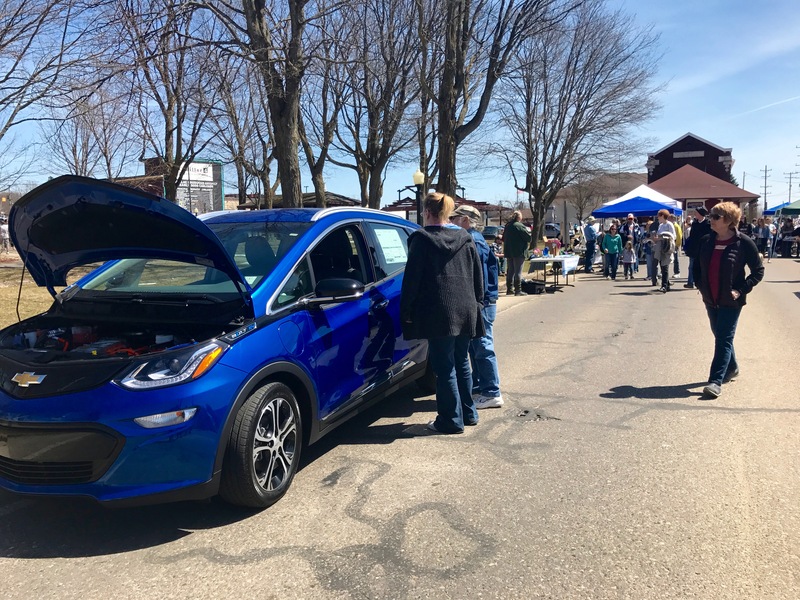 Betten Baker Chevrolet Buick of Cadillac parked a Chevy Bolt Electric Car—in a beautiful shade of lakewater blue—to display along Lake Street at the Commons, glistening in the spring sunshine. 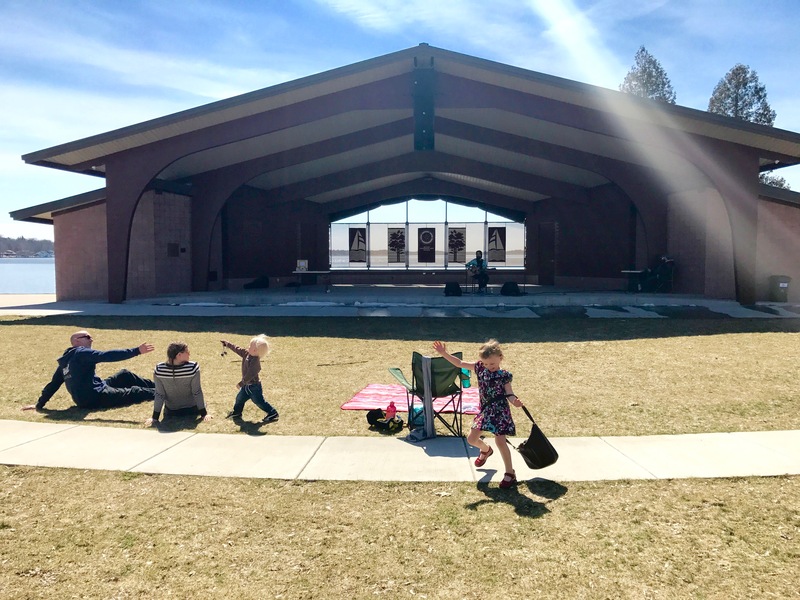 Michigan-based singer, songwriter, and guitarist Seth Bernard provided musical entertainment at the Rotary Performing Arts Pavillion for Cadillac Earth Day this year. Seth Bernard is part of Earthwork Music, “a collective of independent musicians who focus their efforts on environmental advocacy, social justice, creative empowerment, and community building.” After his set, I got to talk with him briefly and bought a couple albums he had for sale that he signed: Eggtones for Peace, a record with cover artwork designed by Crosshatch Center for Art & Ecology co-founder and director Brad Kik, and Eggtones for Fun, an album with cover art designed by Seth’s daughter Iris. 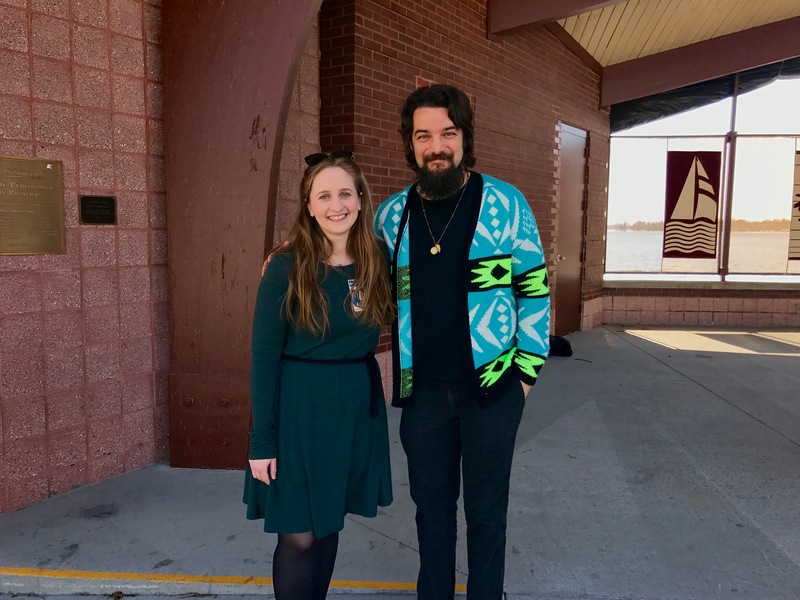 For those thinking green around Northern Michigan who are eager to get planting, God’s Good Earth Community Garden is located at 1110 East Division Street in Cadillac. 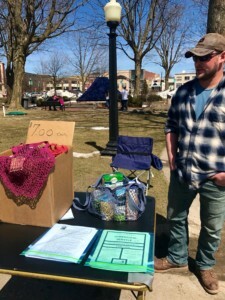 Their next meeting is Saturday, May 12 at 10am at Christian Reformed Church, where you can rent their own 10-foot by 20-foot plot of land on which to grow your own flowers, herbs, fruits, and/or vegetables for just $15. For more information, you can call 231-775-5291 or email office@cadcrc.org. At Sunday’s Earth Day event, the community garden gave out packages of seeds—including Honeydew and Detroit Dark Red Beets—to plant at God’s Good Earth or in your own garden at home. 1. It’s good for the economy! 3. You reduce your waste! The average American discards 7.5 pounds of trash every single day, and Michigan has one of the lowest recycling rates (only 20%) in the country. 5. You help preserve landfill space. 6. You help curb global warming by preventing carbon emissions. 7. You help reduce water pollution and toxic chemical use. 8. You’ll save trees! Up to 95% of original forest areas in the US have been cut down. 9. You’ll protect wildlife habitat and biodiversity. 10. Like soup, it’s just good for your soul. Be a better human and help our community and planet! Speaking of comfort food, this year’s Earth Day celebration featured delicious wraps from one of my favorite local food trucks, Ats A Wrap! I last indulged in one of their unique Comfort Wrap at last year’s Cadillac Craft Beer Festival, so it had been a while—but their wraps are worth the wait! Celebrating Earth Day in a place like this reminds me how fortunate we are to be Michiganders and live Up North. 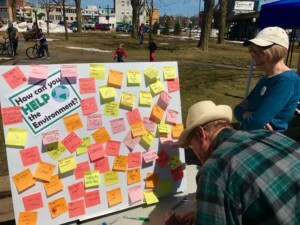 I hope everyone across Northern Michigan had the happiest Earth Day last weekend! Arbor Day is coming up on April 27, so let’s all do something special for Mother Nature this Friday. Plant a tree! Reuse, recycle, and compost! Carpool, bike around, and walk more! There are so many ways each of us can change our daily habits to help better the Earth and our own lives. 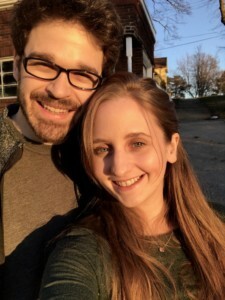 I recently ordered a peach tree from the Wexford Conservation District, and my boyfriend Will and I will be planting it soon to celebrate Arbor Day! In next week’s Experiencing Northern Michigan, I’ll share our photos of the tree planting process and the excitement leading up to it as well as helpful information from a class I took through the Wexford Conservation District all about how to plant fruit trees. Here’s to learning and growing! Let’s take care of our planet and our treasured resources here in Northern Michigan beyond Earth Day 2018 and into always.